New York magazine is reporting that the White House has gone 3D this Christmas by circulating its first holiday pop-up card. 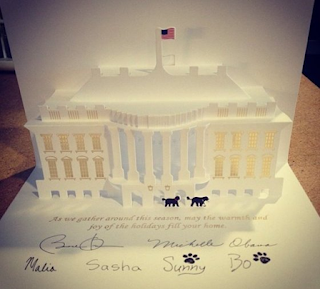 According to a photograph posted on the magazine's website earlier today, the presidential card features a three-dimensional representation of the White House and the First Family's two dogs: Sunny and Bo. The two dogs have also "signed" the card, along with the President and Mrs. Obama, and their two daughters, Malia and Sasha. 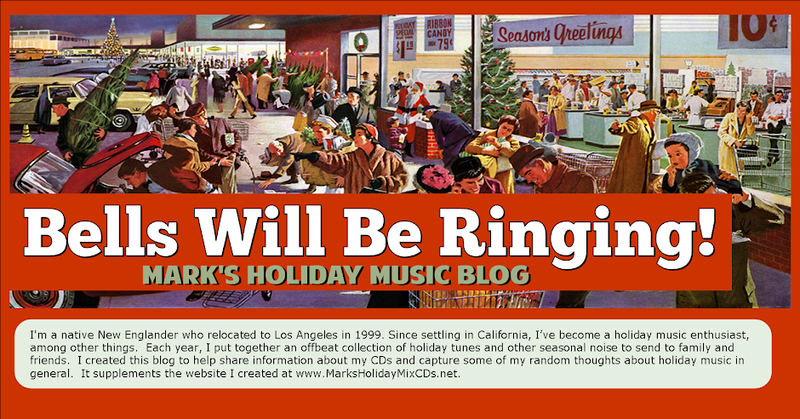 Few other serious publications seem to have reported anything about this year's card as of Monday evening, which seems odd to me. In recent years, the unveiling of the annual card receives widespread if routine coverage, followed by a barrage of critical comments by the President's political opponents. Is nothing sacred?